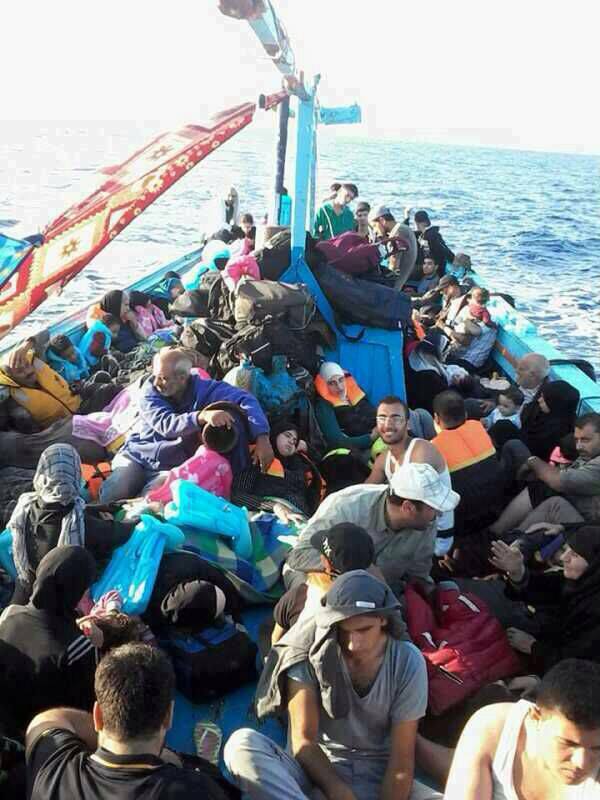 Egyptian Navy arrested 150 Palestinian refugees, mostly women and children, while trying to pass through sea to Europe. The Egyptian navy boats have opened fire against the Palestinian boat thinking that it was coming from Gaza, causing a state of panic among the refugees. The Egyptian authorities have then discovered that the boats were not from Gaza but they were holding Palestinian refugees fleeing from Syria to Italy. The boat was detained by Egyptian Navy. The refugees' families called on internationa human rights institutions including UNRWA, the UN High Commissioner for Refugees (UNHCR) and the Palestinian embassy in Egypt, to intervene immediately for the release of their sons detained by the Egyptian security forces while trying to reach Italy. The Census Department of the Palestinian Ministry of Detainees issued a report on Palestinian political prisoners held by Israel, revealing that Israeli soldiers kidnapped 2436 Palestinians since the beginning of this year, and that the number of detainees currently held by Israel is 5200. Former Political Prisoner, head of the Census department, researcher Abdul-Nasser Farawna, stated that the detained Palestinians are held in 17 Israeli prisons, detention and interrogation centers, and that 146 of them are held under arbitrary Administrative Detention without charges or trial. 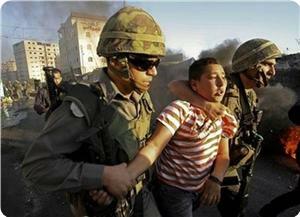 Farawna said that Israel is holding captive 220 children, including 42 below the age of 16. He added that 13 democratically elected legislators, and 13 women, are still imprisoned by Israel. The longest serving female detainee in Lina Jrabouni; she was taken prisoner in April of 2002 and was sentenced to 17 years. The official also stated that there are 520 detainees who have been sentenced to at least one life term, and that detainee Abdullah Barghouthi was sentenced to 67 life terms and additional 250 years. There are currently 78 detainees who have been imprisoned since before the first Oslo Agreement of May 4 1994, including 23 detainees who have been imprisoned since more than 25 years. The longest serving detainees are Karim Younis and Maher Younis; both were kidnapped 31 years ago, and Issa Abed-Rabbo, who was kidnapped 29 years ago. 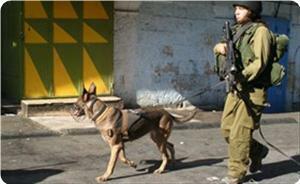 The Palestinian Prisoners Society (PPS) warned of using police dogs during Israeli arrest and raid campaigns into Palestinian houses, causing a state of panic among the Palestinian families. Violent and brutal search operations are conducted by Israeli soldiers against Palestinian houses accompanied by police dogs. The PPS called on international human rights institutions to pressure the occupation authorities to stop terrorizing the Palestinian families during arrest operations. The PPS reported that the IOF has used police dogs while raiding the Palestinian citizen Majdi Sheikh Ibrahim's house, in Jenin, last night. He was then taken to an unknown destination. The human rights center confirmed that a state of panic prevailed among the children during the raid. On 07 September 2013, Israeli forces stationed along the annexation wall between the far south of Hebron, south of the West Bank, and Israel, opened fire at a number of Palestinian labourers when they attempted to cross the wall through a hole looking for work. As a result, 2 of them were wounded. Their wounds were described as moderate. Ali Abu Zuhra said to PCHR's fieldworker: "I help my father in supporting our 10-member family. I go to work every day through the hole in the annexation wall that separates Arab al-Ramadeen area, south of Hebron, from Israel, as I have no work permit because I am still young. At approximately 14:00 on Saturday, 07 September 2013, I went out of home in Yatta to al-Daheriya village, where a vehicle took me with other workers to the area from which we cross the wall. At approximately 15:00, we reached the area about 500 meters away from the hole. We waited for 15 minutes, because some workers were crossing the wall. I then decided with my cousin Nour al-Din Abu Ali (21) and other workers to cross the wall. We actually went to the hole and crossed the wall. We waited for the vehicle that takes us to work for about a minutes. Then, we suddenly heard heavy gunfire. We stood still fearing of being wounded if we tried to run away, but it was in vain. Fire was everywhere around us. We hurried back to the hole because we did not know the source of fire. I was wounded by a bullet to the right leg, but I kept running about 500 more meters. I was few meters away from the vehicle when my leg hurt me and I fell to the ground. I crawled until the driver helped me. In the meanwhile, I saw Nour al-Din on the ground before he could jump through the hole. Israeli soldiers were surrounding him, while a military ambulance was in the area. I was taken to a medical centre in al-Daheriya village. They found out the bullet had entered and exited my leg. I received the necessary medical treatment. I then took another vehicle and went to Hebron Hospital, where they discovered the bullet affected my leg nerve. My uncle Nabil Abu Ali told me his son Nour al-Din was in "Soroka" Hospital in Israel." Lands, north of al-Eisawiya village, were levelled to establish a trench separating the village from the "French Hill" settlement. Israel has continued to impose a total closure and has isolated the Gaza Strip from the outside world. The illegal closure of the Gaza Strip, which has steadily tightened since June 2007, has had a disastrous impact on the humanitarian and economic situation in the Gaza Strip. The Israeli authorities impose measures to undermine the freedom of trade, including the basic needs for the Gaza Strip population and the agricultural and industrial products to be exported. For 7 consecutive years, Israel has tightened the land and naval closure to isolate the Gaza Strip from the West Bank, including occupied Jerusalem, and other countries around the world. This resulted in a grave violation of the economic, social and cultural rights and a deterioration of living conditions for 1.7 million people. On 08 September 2013, Israeli bulldozers continued to level lands between Deir Ballout and Kofur al-Deek, west of Salfit, and started building new settlement units. Israeli authorities laid the foundation stone for the new settlement namely "Leshem" in order to establish a big settlement complex based on "Ali Zahav" settlement, east of Deir Ballout. On the same day, Israeli forces accompanied by 2 officers from the Israeli "Civil Administration" moved into Um Rukba area, the southern entrance of al-Khader village, south of Bethlehem. They handed Nasser Saleh Salah (43) a notice to demolish a 30-square-meter agricultural room and to halt construction works in an under construction 60-square-meter house under the pretext of non-licensing. On 09 September 2013, a group of settlers from "Beit Eil" settlement that is established near Ramallah threw stones at Palestinian vehicles driving over the nearby main street. As a result, windows of 5 vehicles were damaged. On the same day, a group of settlers from "Ma'oun" settlement that is established in the east of Yatta, south of Hebron, cut and damage olive trees (over 20 years old) in al-Hamra area, east of al-Tawani village, east of Yatta. On 10 September 2013, some settlers from the group of "Paying the Price" punctured tyres of 3 buses and wrote racist slogans such as "Death to the Arabs", "Stone Terrorists", and "Paying the Price" in al-Thawri neighbourhood in Selwan village, south of the old town of occupied Jerusalem. Following the Friday prayer, 06 September 2013, dozens of Palestinian civilians and international and Israeli human rights defenders organised a peaceful demonstration in Bil'in village, west of Ramallah, in protest at the construction of the annexation wall and settlement activities. The demonstrators raised the Palestinian flag and made their way towards the annexation wall. Israeli forces closed the wall gate with barbwire and when the demonstrators attempted to access the lands behind the barbwire, they were stopped by Israeli soldiers. The demonstrators threw stones at the Israeli soldiers who responded with live ammunition, rubber-coated metal bullets, sound bombs, and tear gas canisters, and chased them across olive fields as far as the outskirts of the village. Around the same time on Friday, dozens of Palestinian civilians from al-Ma'sarah village, south of Bethlehem, and a number of international activists and popular resistance activists organized a peaceful demonstration against the annexation wall and settlement activities. They gathered in front of al-Shomou' Cultural Centre in the centre of the village and made their way through the village streets. They raised Palestinian and Syrian flags and portraits of Palestinian prisoners and martyrs. When they approached the annexation wall, Israeli soldiers dispersed the demonstrators with tear gas canisters. They also abducted Hassan Abdul Karim Breijiya (44), coordinator of the popular committee against settlement activities, and realised him later on bail. At approximately 12:30, on Friday, 30 August 2013, dozens of Palestinian civilians from Kofur Qaddoum, northeast of Qalqilia, and international activists gathered and made their way through the eastern entrance of the village in protest at closing that entrance with an iron gate since al-Aqsa Intifada. Israeli forces fired tear gas canisters, sound bombs and live ammunition randomly. As a result, dozens suffered tear gas inhalation. Gas canisters were fired at windows of 2 houses belonging to the families of Abdul Razeq 'Amer and Tayseer Ishteiwi. Their occupants suffered tear gas inhalation as well. Moreover, photojournalist Ja'fer Zahed Ishtaiya (46) was hit by 2 gas canisters to the right and left legs. Besides, a 36-year-old civilian was hit by a gas canister to the head and neck, while a 41-year-old civilian was hit by a gas canister to the right leg. Make no mistake about it – collective punishment is a war crime. It was considered a war crime after World War II and those responsible for it during the 2nd World War were put on trial for it at the Hague. Collective punishment is a war crime, but unfortunately – collective punishment is Israel’s policy towards Palestine. Israel drops bombs indiscriminately on innocent civilians, kidnaps and arrests thousands of Palestinians holding them without trial for months or years on end, limits the mobility of the general population to destabilize the Palestinian economy, limits imports and exports to keep people in poverty and demolishing infrastructure like solar panels, sewage and water infrastructure and homes to name just a few. And Israel has declared a permanent “emergency” during it’s decades long occupation of the Palestinian people. 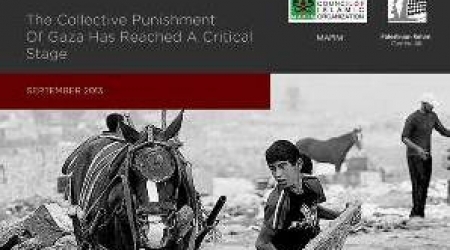 This report was put together by three different organizations: EuroMid Observer for Human Rights, the Palestinian Return Centre in London (PRC) and Malaysian Consultative Organization (MAPIM). Israeli occupation forces (IOF) rounded up 70 Palestinians from Arub refugee camp, north of Al-Khalil, since the start of 2013. The Palestinian prisoner’s society in Al-Khalil said in a report on Tuesday that most of the detainees were either minors or ex-prisoners. It said that the detainees were in the age category 18 – 26, adding that the soldiers sabotage searched homes during the raids. The society charged that the soldiers confiscate mobile phones, computers, cameras, books, and sometime money and golden jewelry are stolen. The Palestinian Center for Development and Media Freedoms (MADA) published a special report on Saturday, highlighting the reality of the Internet and freedom of expression in Palestine. The World Wide Web has become one of the most important tools of communication between individuals around the world, and a broad space for the flow of information and exchange of ideas in all languages. In the past few years social networks started a new revolution in the world of communication. Mr. Mousa Rimawi, MADA's general director, stated that The Internet and the broad tools of communication made available by the social networks gained great importance specifically in the lives of Palestinians in Gaza, who have been under firm siege by the Israeli occupation forces since 2006, and for the Palestinian people in general due to the dispersion they have experienced since the Nakba of 1984, and now they can communicate with their relatives and friends in the different parts of the world quickly and immediately. Rimawi added that MADA realized the importance of the social networks as platforms that allow citizens to express themselves, therefore MADA published a study about two years ago on "the new media relationship to freedom of opinion and expression in Palestine: Facebook as a model", the most significant results of the study was that 67% of Palestinians who participated in answering the questionnaire and who use Facebook believed that facebook contributes to the promotion of freedom of expression, as opposed to 33% who said it has no contribution. 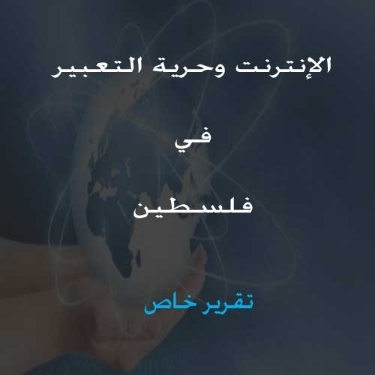 The content analysis of the Palestinian groups on Facebook also showed that there is no culture of accepting the opinion of others and that there is a verbal attack and intolerance during an exchange of views in these groups. Rimawi explained that the internal division captured the attention of many, which was dominated by the style of accusations, insults, defamation, treason, and blasphemy during a lot of discussions, this wasted the opportunity of those groups for a peaceful dialogue to discuss a lot of societal issues, and try to promote civil peace. Director of the General Administration of Communications at the Ministry of Communications, Engineer Florid Zurba, said that there is a difficulty in access to all areas in Palestine, especially some of the villages, due to the blockade and the separation wall and Area C which increases the costs kink lines required to connect the Internet, which increases the price for this service. He adds: "For example, the maximum speed of home Internet reach up to 12 megabits per second, which is the provided speed by the access lines, while the speed of commercial Internet that connects via optical fiber are unspecific and high. Prices range for home Internet service range from 60 to 300 shekels a month depending on speed (approximately 17-84 USD), the commercial Internet service begins at almost 180 shekels per month (approximately 50 USD). The Executive Director of the Association of Internet community in Palestine Hanna Quraytem, reported that the price and the infrastructure control the Palestinians' ability to access the Internet. He believes that the biggest problem facing internet access is related to the Israeli occupation, which prevents Palestinians from getting third and fourth generation Internet service on their mobile phones, which limits their ability to communicate immediately with others and participate in events and express themselves immediately and directly from anywhere. The unlimited Internet speed gives people the ability to communicate faster and use sophisticated techniques, such as direct broadcasting and video, which most Palestinians are unable to do. MADA monitored during the past 20 months attacks on journalists for expressing their opinion on facebook, and some journalists reported to MADA that security services attempted to force them during investigation to reveal their emails and social profiles passwords, and this report will shed light on the reality of the internet in Palestine and the violations committed against journalists for expressing their opinions on the social networks. The violations against Facebook users and bloggers confirms that the authorities control and follow social networks in the West Bank and Gaza Strip, with increased oversight in the last two years after the success of the revolutions in a number of Arab countries, especially Tunisia and Egypt, where youth played a primary role in coordinating and mobilizing the masses through social networks. Riham Abu Aita, MADA's Public Relations Officer, stated that violations against journalists and citizens simply for expressing their opinions lead to the strengthening of self-censorship, which is incompatible with the idea of having the social platforms that is suppose to make it easier for citizens and journalists to express their opinions. Abu Aita added that therefore MADA calls on all relevant authorities in the West Bank and the Gaza Strip to stop Internet censorship, end the infringement on the right of journalists and citizens to express their views on social networks, stop violating their privacy and don't pressure them to reveal their passwords, and to respect freedom of opinion and expression guaranteed in Article 19 of the Palestinian Basic Law and the Universal Declaration of Human Rights. 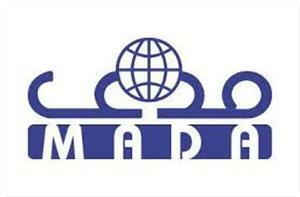 MADA center thanks the Open Society Foundations for its support for publishing the special report. The current situation in the Gaza Strip, after Egypt’s full destruction of the lifeline tunnels, is the toughest since December 2008, EuroMid Observer for Human Rights reported. 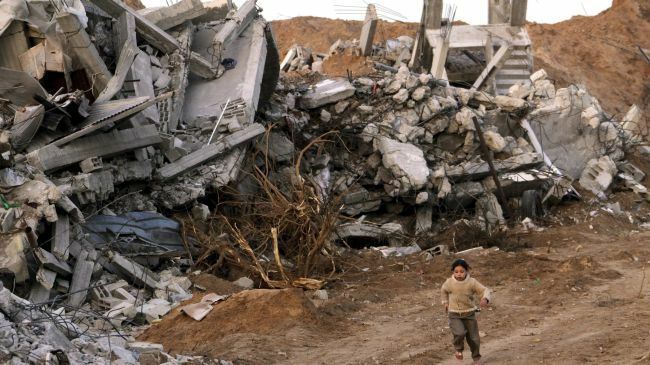 The EuroMid Observer for Human Rights in cooperation with the Palestinian Return Centre (PRC) in London and the Malaysian Consultative Council of Islamic Organizations (MAPIM) issued a field report entitled " Slow Death" citing the re-newed and developing grim realities that are imposed by Israel on Gaza in the form of an illegal blockade since 2006. 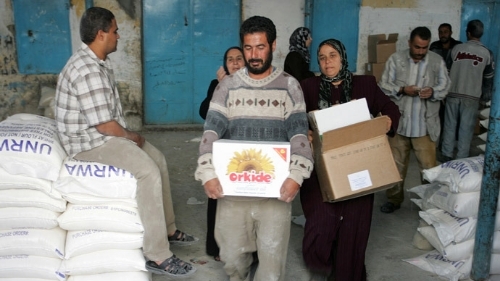 The field report cited that over the past two month , the populations of Gaza have faced severe shortages in the basic requirements of living conditions within the health sector as well as all other sectors. The basic food and fuel commodities have been hardly hit as Egypt closed great majority of the tunnels used in smuggling these needs. The right of freedom of movement is affected severely, where Egyptian authorities have closed Rafah border crossing; banning constantly tens of thousands from leaving out or into Gaza. International Humanitarian Law holds Israel responsible as well as Egypt for caging over 1.6 million in an open air prison. Economists expected a sharp increase in the unemployment level as it will be 43% by the end of 2013 compare with 32% in June 2013, the report cited. According to the report, the incessant closure of the tunnels will lead to a 3% decline in the growth by the end of 2013 compared with 15% as of June 2013. Meanwhile, the construction sector is working with less than 15% of its previous capacity leading to more than 30.000 losses in job opportunities since July 2013. The report stated that the longstanding electricity deficit, compounded by shortages in fuel needed to run Gaza’s power plant, results in power outages of up to 12 hours a day. Additionally, only a quarter of households receive running water every day, during several hours only, while over 90% of the water extracted from the Gaza aquifer is unsafe for human consumption. Some 90 million liters of untreated and partially treated sewage are dumped in the sea off the Gaza coast each day, creating public health hazards. Additionally; the economy has endured severe losses worth of $460 million in all economic sectors within the past two months. As the occupying power, Israel has a duty under International Humanitarian Law to ensure the welfare of the population of Gaza without discrimination. Israel has failed to uphold the population’s human rights, including the rights to health, to education, to work and to an adequate standard of living, which includes the rights to food and adequate housing. Israel should be held accountable under international law for the collective punishment of an entire population. The Israeli Occupation Forces (IOF) arrested during August 14 former political detainees, released from PA prisons as part of the revolving door policy based on security coordination between the IOF and PA forces. 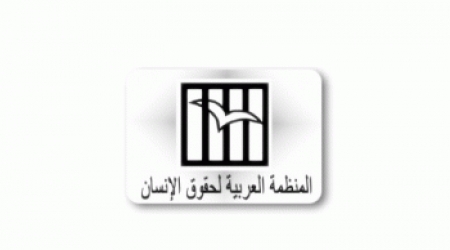 Two journalists and seven liberated prisoners were among the detainees. In al-Khalil, Israeli forces arrested the leader in Hamas movement Sheikh Mazen Abu Eid, 42, the dean of administrative detainees who spent 10 years in Israeli jails. In Nablus, Mohammed Anwar Mona, Quds Press reporter, was arrested by Israeli forces, knowing that he spent more than 5 years in Israeli jails and he was arrested 6 times by PA forces. 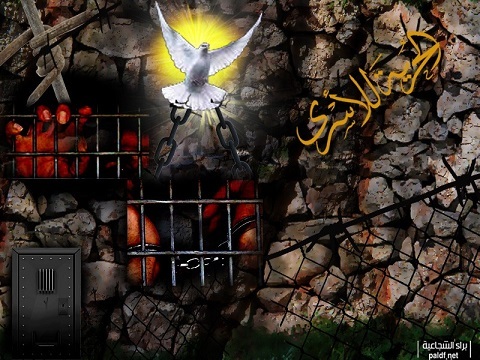 The liberated prisoner Khadr Khaled Srkja, 37, was also detained in Israeli prisons. He was previously arrested three times by PA forces and spent more than 5 years behind Israeli bars. IOF soldiers also arrested two members of the Islamic club from Qalqilya, and three liberated prisoners from Ramallah including a journalist. The UN Office for the Coordination of Humanitarian Affairs (OCHA) is very concerned about tightened security measures and restrictions on the Rafah crossing and tunnels between Egypt and the Gaza Strip, a UN spokesman said Friday. "The restrictions have resulted in delays for students and patients seeking urgent medical treatment, and shortages of construction materials, fuel and medical supplies," Farhan Haq, the associate UN spokesman, said at a daily news briefing here. "Thousands of Palestinians are stranded on both sides of the border," he said. "Local sources indicate that, for the second successive week, fewer than 10 tunnels are operational, compared to around 50 during previous weeks and an estimated 300 before the imposition of the current measures," he said. 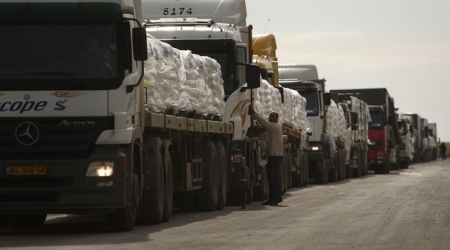 "The crackdown has also caused chronic shortages of fuel." OCHA called for the opening of all crossings to legitimate imports and exports and movement of civilians, Haq said. Rafah is Gaza's main gateway to the world while other crossings and transit points on the border with Israel are subject to strict restrictions, which Israel says are for security reasons. Israeli occupation has been tightening the Gaza crossings since it imposed a blockade on the Hamas-led government after it the movement won the 2006 legislative elections. In its Weekly Report On Israeli Human Rights Violations in the Occupied Palestinian Territories for the week of 29 August- 04 September 2013, the Palestinian Center for Human Rights (PCHR) found that a Palestinian child died of wounds he had already sustained when Israeli forces moved into Jenin refugee camp. In addition, a civilian was wounded, east of Jabalia in the northern Gaza Strip and 2 protesters, including a child, were wounded during a protest in Bil'in village. During the reporting period, a Palestinian child died of wounds he sustained when Israeli forces moved into Jenin refugee camp, in the northern West Bank, 2 weeks ago, while 2 Palestinian civilians, including a child were wounded during protests against the annexation wall. On 31 August 2013, Palestinian medical sources at the Specialized Arab Hospital in Nablus declared that Karim Sobhi Saleh "Abu Sbeih" (17), from Jenin refugee camp, died of wounds that he had sustained on 20 August 2013, when Israeli forces moved into Jenin refugee camp and clashes erupted between them and Palestinian children. Israeli forces conducted 42 incursions into Palestinian communities in the West Bank, abducting at least 33 Palestinian civilians, including 5 children. Israeli forces established dozens of checkpoints in the West Bank. 4 Palestinian civilians were arrested at checkpoints in the West Bank. A Palestinian civilian was wounded when Israeli forces opened fire at him east of Jabalia, in the north of the Gaza Strip. On 30 August 2013, Yusef Kamel Sa'd (20) sustained a bullet wound in his left thigh when Israeli forces stationed along the border fence, east of Jabalia, in the northern Gaza Strip, opened fire at him. Sa'd was about 500 meters away from the fence when he was targeted. On 02 and 03 September 2013, Israeli gunboats stationed off al-Waha resort, northwest of Beit Lahia in the northern Gaza Strip, opened fire at Palestinian fishing boats that approached the border about 2 nautical miles off the shore. The fishermen were frightened and fled back to the shore fearing of being arrested or injured. Neither casualties nor material damage were reported in both incidents. On 01 September 2013, under the protection of Israeli policemen and soldiers, officers from "Gush Etzion" settlement that stands on lands of southern Bethlehem confiscated vegetable stands belonging to Palestinians along bypass road (60), which links al-Arroub refugee camp and Beit Ummar village, north of Hebron. On 02 September 2013, Israeli bulldozers demolished a house and a shed "barrack" belonging to Daif-Allah al-Rashayda and Jihad al-Rashayda in Fasayel al-Fouqa village, northwest of Jericho. The villagers tried to prevent Israeli forces from demolishing the house through making human shields, but Israeli forces fired sound bombs and tear gas canisters at them and dispersed forcibly. During the demolition, Israeli forces attacked 5 women; 2 of whom were hit by gun butts. The women received first aid from the Palestine Red Crescent Society staff in the village and were taken then to Jericho Hospital. During the reporting period, Israeli soldiers used excessive force against peaceful demonstrations organised by Palestinian civilians, international and Israeli human rights defenders in protest at the construction of the annexation wall and settlement activities in the West Bank. As a result, 2 Palestinian civilians, including a child, were wounded, dozens suffered tear gas inhalation and others sustained bruises. Following the Friday prayer, 30 August 2013, dozens of Palestinian civilians from al-Ma'sarah village, south of Bethlehem, and a number of international activists and popular resistance activists organized a peaceful demonstration against the annexation wall and settlement activities called "In Support to the Syrian People." They gathered in front of al-Shomou' Cultural Centre in the centre of the village and made their way through the village streets. They raised Palestinian flags and portraits of Palestinian prisoners and martyrs. When they approached the annexation wall, Israeli soldiers dispersed the demonstrators with tear gas canisters. Around the same time, dozens of Palestinian civilians and international and Israeli human rights defenders organised a peaceful demonstration in Bil'in village, west of Ramallah, in protest at the construction of the annexation wall and settlement activities. The demonstrators raised the Palestinian flag and made their way towards the annexation wall. Israeli forces closed the wall gate with barbwire and when the demonstrators attempted to access the lands behind the barbwire, they were stopped by Israeli soldiers. The demonstrators threw stones at the Israeli soldiers who responded with live ammunition, rubber-coated metal bullets, sound bombs, and tear gas canisters, and chased them across olive fields as far as the outskirts of the village. As a result, 2 civilians, including a child, were wounded, while dozens suffered tear gas inhalation and others sustained bruises. 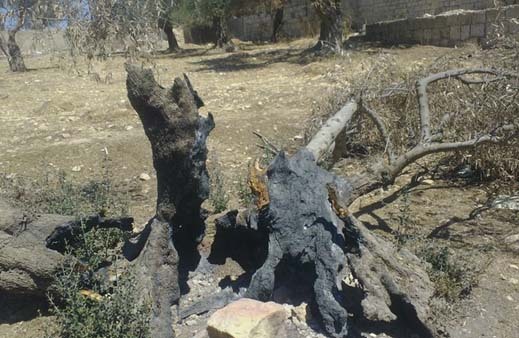 Moreover, due to firing the gas canisters, some olive trees were burnt. The wounded were two boys aged 19 and 8. At approximately 12:30, on Friday, 30 August 2013, dozens of Palestinian civilians from Kofur Qaddoum, northeast of Qalqilia, and international activists gathered and made their way through the eastern entrance of the village in protest at closing that entrance with an iron gate since al-Aqsa Intifada. Israeli forces fired tear gas canisters, sound bombs and live ammunition randomly. Eyewitnesses highlighted that bullets were fired at the lower part of the bodies, but they hit the ground and no casualties were reported. It should be noted that dozens of protestors suffered tear gas inhalation. In addition, PCHR calls upon the international community to act in order to stop all Israeli settlement expansion activities in the Occupied Palestinian Territories through imposing sanctions on Israeli settlements and criminalizing trading with them. The Palestinian Centre for Human Rights (PCHR) will organize the International Criminal Law Moot Court Competition in the Gaza Strip on 07 and 08 September 2013. The International Criminal Law Moot Court is a project implemented for the second consecutive year by PCHR, funded by the United Nations Development Program (UNDP) and sponsored by the UN Office of the High Commissioner for Human Rights (OHCHR) in cooperation with al-Azhar University, the Islamic University and Palestine University. A local jury will supervise the competition and select the winning team, as the international judges and experts who were expected to join the jury were not able to enter the Gaza Strip due to the latest political and security conditions in Egypt. During the competition, 30 students, who were selected according to excellence criteria from the three universities, will compete against one another. Each group includes 10 students who will be divided into 2 teams: the prosecution and defense. The competing groups will address legal cases through oral arguments and written submissions in order to convince the jury in the context of a fictional criminal case. PCHR inaugurated the Moot Court Project for this year on 30 January 2013, after which, the targeted students received professional legal training for 8 months. The training that was supervised by 3 legal experts tackled topics related to the international humanitarian law (IHL) and human rights. Moreover, international legal experts visited the Gaza Strip and trained the students in the context of their professional experience on the provisions of the international law at the theoretical and practical levels. It should be noted the Moot Court Competition is unique. It targets law students in the Gaza Strip universities during the scholastic year in order to enable them understand the IHL, international criminal law and international human rights law. Furthermore it is planned to enhance the students' skills and promote their legal abilities relevant to use the law. 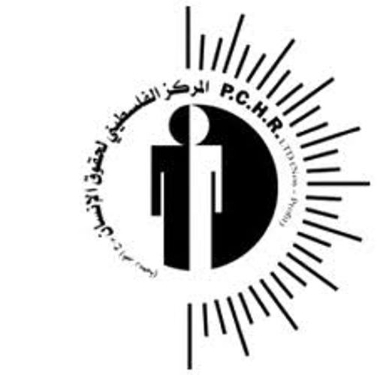 PCHR had the initiative to implement the first Moot Court Project in the Gaza Strip in 2012 as part of its efforts to transfer its experience throughout years of litigation in order to expand the field of knowledge. The Palestinian prisoner society said that the number of Palestinian children from Qalqiliya city who are detained in Israeli jails rose to 30 prisoners after the Israeli occupation forces kidnapped seven kids in last August. In a report, the society outlined some of the violations that were committed by the IOF against the detained children, confirming that most of the children were kidnapped from their homes during violent night raids. It added that these children and their families were exposed during the detention process to humiliation and physical abuse, noting that the children were taken handcuffed and blindfolded to interrogation centers without the presence of their parents. The center appealed to human rights groups, especially the ones concerned with the rights of children, to necessarily move to have all Palestinian children released, affirming that they were detained extrajudicially and without evidence. Jerusalem and Al-Aqsa Mosque are being subjected to a systematic Judaizing process under a complete silence of the international community. The occupation authorities are demolishing homes and displacing their residents including women, children and men taking no consideration for international laws and conventions. They are expanding settlements in Jerusalem and bringing in more settlers to give the city a Jewish character. Within the Judaizing measures and the accelerating of the planned construction of the (temple), Israeli municipality in Jerusalem has been undertaking hectic excavations under the Al-Aqsa Mosque, which led to several collapses; moreover, synagogues are being built on each side of the mosque, There is a plan to build a synagogue inside Al Aqsa mosque courtyards at Marwani chapel entrance in the south -eastern side of the mosque. As an incitement to building the temple, and within a program linking the 'Jewish spirit' to the site, Israeli authorities are regularly organizing provocative visits for various segments of Israeli society by guarding them to perform Talmudic prayers. To promote the temple-building project, masses of Israeli settlers are storming Al-Aqsa Mosque to mark Jewish New Year on Wednesday and the following days. In response to these violations, Palestinians were called up to protect the mosque on Wednesday to emphasize its standing as a sanctified site to Arabs and Muslims. The Israeli authorities, to prevent the arrival of the crowds to Al-Aqsa Mosque, erected barriers and tightened procedures for the entry of worshipers to the Al-Aqsa Mosque. They arrested Sheikh Raed Salah, head of the Islamic movement in pre-1948 Palestine for his active role in rallying the masses of the Palestinian people to confront the plans aimed at Al-Aqsa Mosque. Arab Organization for Human Rights in UK confirms that the main reason behind the worsening of crimes against the city of Jerusalem and Al Aqsa Mosque is the lack of decisive international position on these crimes, which are crimes against humanity. We call on Arab and Islamic countries to resort to the active international institutions community to take the necessary action to put an end to the ongoing crimes of the occupation in Jerusalem city. “With the persistence of Israeli restrictions on mobility in the Occupied Palestinian Territory, loss of land and productive resources and bleak political prospects, gross domestic product (GDP) decelerated, and poverty and unemployment increased in 2012,” A UN report said Tuesday. The United Nations Conference on Trade and Development (UNCTAD) said in a report on the Palestinian economy to be presented to the 60th Trade and Development Board meeting in Geneva on September 16 that these conditions are expected to deteriorate further. “The Palestinian fiscal crisis deepened, owing to less aid and Israel's withholding of Palestinian revenue, posing risks to the whole economy,” said the report in its executive summary. “The crisis is exacerbated by the leakage of Palestinian fiscal revenues from smuggling and lost tax on imports via Israel,” it added. According to the report, the strains on the Palestinian economy have intensified since 2012. “GDP growth slowed to 6 per cent in 2012, down from double-digit growth in the previous two years, while unemployment soared to 27 per cent,” it said. “Structural constraints on economic development have worsened due to the prolonged Israeli restrictions on the movement of Palestinian people and goods, the expansion of settlements, the growing inability of Palestinian producers to access their productive resources, the decline in aid flows and pervasive political and economic uncertainty,” it added. The Palestinian prisoner society said that the Israeli occupation forces (IOF) had escalated their detention campaigns against the Palestinians in Al-Khalil city during last August. According to its report, most of the arrests took place in the refugee camps of Al-Fawwar and Al-Aroub, and Beit Ummar town to the north of Al-Khalil. The society explained that 100 Palestinians, including 13 patients and 17 high school and university students, had been kidnapped in the city during the reporting month. It also said that the Israeli occupation regime extended the administrative detention of 30 Palestinian prisoners from Al-Khalil and transferred about 22 Palestinians to interrogation centers. It noted that the IOF deliberately caused damage to furniture and personal belongings during violent raids on the houses of these detainees in the city. 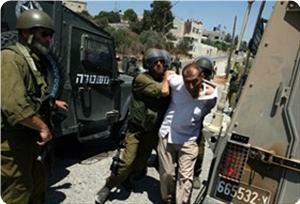 The IOF used intimidation methods during their campaigns in the city and stole money, gold jewelry, computers and cellphones during their raids on homes, the society added. 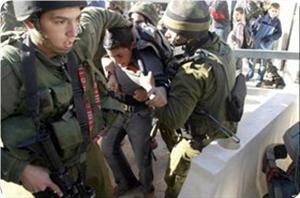 Israeli occupation forces (IOF) nabbed 61 Palestinians in various West Bank areas over the past week, Hamas statistics said on Monday. The statistics report mentioned names of all those detained, adding that one third of the detainees were taken from Al-Khalil. The report said that four of the detainees were liberated prisoners and three of them were detained by PA security agencies on past occasions. 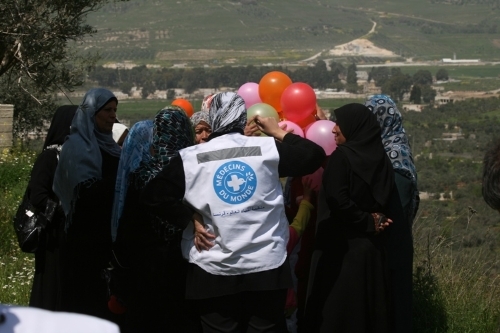 In response to rising Israeli settlers' attacks on Palestinian villages and military activities in Nablus governorate, Médecins du Monde (MdM) started a new project in May 2013, providing psycho-social support to Palestinian communities most affected by such violence. MdM objective is to mitigate the impact of violence, especially on the mental health of Palestinians. In close collaboration with human rights organizations, MdM also aims to limit future attacks by denouncing settlers' and military violence and requiring higher accountability of the perpetrators. In Nablus governorate, the number of Palestinian casualties due to settlers' attacks was four times higher in the first quarter of 2013 than it was for the same period in 2012, according to the Office for the Coordination of Humanitarian Affairs (OCHA). Interventions by the Israeli Occupation Forces, constant verbal and physical abuses, inhuman and degrading treatments also contribute to create a general climate of fear and intimidation. From January 2012 to May 2013, MdM conducted the pilot phase of the project in nine villages of Nablus and Salfit governorates and uncovered the highly negative impact that such violence has on the mental health status of Palestinians. 'We met people suffering from depression, anxiety, symptomatic stress and Post Traumatic Stress Disorders. These mental health disorders are heightened by the recurrence of violent events, the impunity of the perpetrators, the sense of injustice felt by Palestinians and their anticipation of renewed abuses' stated Malake El Turk, MdM Field Coordinator for Nablus area. MdM therefore chose to commit to a one-year project targeting eighteen villages of Nablus and Salfit governorates. Should a violent incident happen in one of these villages, MdM psychologists and social workers are deployed to assess the situation, in coordination with the village councils. If needed, MdM teams organize debriefing sessions gathering ten to thirty members of the community. Groups of children, adolescents, mothers and fathers are given a free space to express their feelings and counseled on ways to manage these feelings. MdM intervention goes even further. MdM also refers people in need of legal aid, livelihood or agricultural support to other organizations in order to encourage a comprehensive humanitarian response. As children are especially prone to conflict-related stress, MdM will organize psychosocial and recreational activities in primary schools, in partnership with the Ministry of Education and Higher Education – Directorate of Education for South Nablus.